ZTE? Hello, yes, this is Verizon. Verizon Wireless. Mmhmm. We heard that you were selling a smart projector through AT&T. Yes, that's right, the ZTE Spro 2. We'd like to offer it too. Huh, exclusive? It's been nearly three months. That's long enough. We have a larger network than AT&T. We cover more of the country, which means there's a better chance we'll connect with someone who actually knows what a smart projector is and wants one. How many have you guys sold with AT&T anyway? Yeah, I already know about the thing. The guy at the AT&T store told me everything I needed to know. It comes with Android 4.4.4, and there's 16GB of internal storage along with a microSD card slot for storing Google Play apps. The projector has a 1280 by 800 resolution, draws power from a 6,300mAh battery, runs off a Snapdragon 800, packs 2GB of RAM, has an HDMI port, and can double as a mobile hotspot. We'll sell it for $600 off-contract. Yes, we know that's $100 more than AT&T's price. Do we have a deal or not? Good. Should I send out the press release, or should you? Mmhmm. Oh, and let's launch a contest or something to go with it. 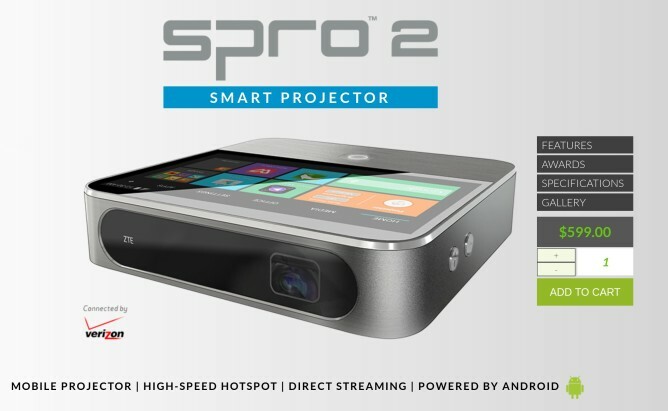 RICHARDSON, Texas--(BUSINESS WIRE)--ZTE USA, the fourth largest smartphone manufacturer in the U.S. and second largest in the no-contract market*, today announced the award-winning ZTE Spro 2™ Smart Projector is now available on the Verizon Wireless 4G LTE network. Customers can purchase the ZTE Spro 2 for $599 with no annual contract and is available online at www.zteusa.com/zte-spro2-verizon. To celebrate the continued success of the ZTE Spro 2 and its leadership in the smart projector category, ZTE is giving offices across America the chance to win a conference room makeover worth $50,000. The ZTE Spro 2 is the only portable smart projector that features a built-in 5-inch LCD touchscreen, Android operating system and mobile hotspot for up to 10 devices. 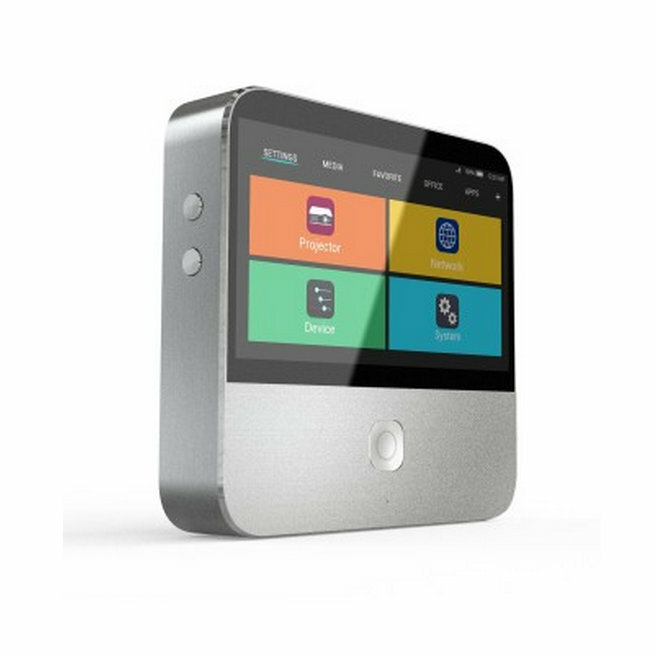 Through USB or HDMI connections, micro SD cards, Wi-Fi, Bluetooth or Google Play apps, users can access and project virtually any content, and with the Spro 2’s integration of auto-focus and auto keystone features set up has never been easier. Beginning today, offices across America can enter for a chance to win ZTE’s Ugliest Conference Room Makeover contest, worth $50,000. With inspiration of the Spro 2 Smart Projector’s sleek and multi-functional design, an office interior design expert will transform one conference room into what will undoubtedly impress visitors and bring new energy to meetings and more fun to office parties. Entrants must submit a photo or video of their ugly conference room, along with a description of how or why the makeover would benefit their office. Finalists and winners are selected by ZTE and popular vote! For full contest details and requirements, visit makeover.zteusa.com.